Last year I was introduced to the concept of Hot Chocolate on a Stick. I was helping plan a baby shower and we decided to do a Hot Chocolate Bar (with inspiration from this site!) 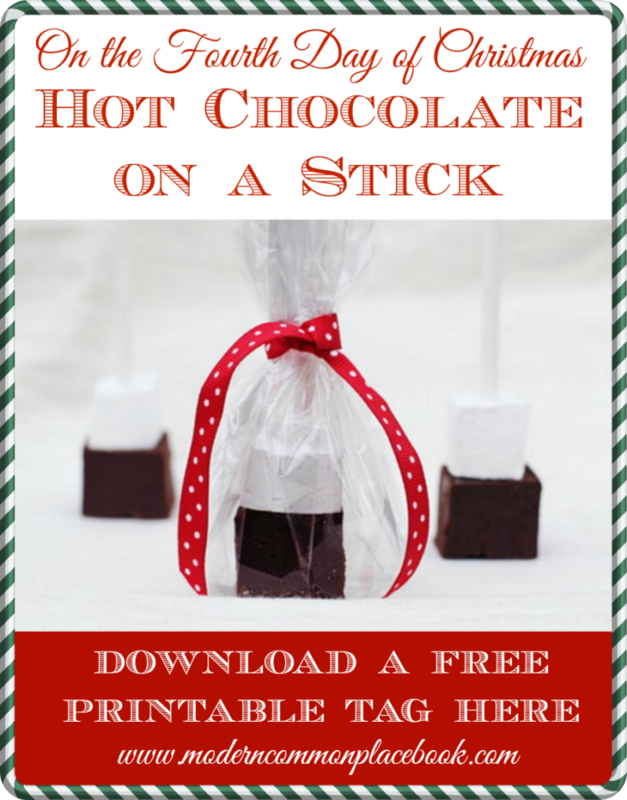 and I was blown away by the idea of Hot Chocolate on a Stick. Have you heard about it? These little sticks of chocolate, when dissolved in hot milk, create the most luscious and decadent hot chocolate. Ever. A few weeks later I made two more batches to give to our family members on our annual “Christmas Eve Eve” party (a wonderful tradition!). People still talk about it. Y’all. This creation is the best. The recipe I am sharing is taken from That’s What Che Said – and I give her full credit! Start off by lining a 8 x 8 pan with aluminum foil and then also spray the foil with cooking spray. Place all chocolate in a large heat-safe bowl. Once it simmers, pour on the chocolate and let sit for a minute to soften the chocolate. Stir until smooth and creamy. Pour into your pan and let set overnight or about 4 hours in the refrigerator. Once set, slice in 25 pieces. Cutting Tip: Heat a knife in warm water and then dry. Cut a slice, wipe knife clean and repeat the heating. This will give you clean cuts on your chocolate cubes. 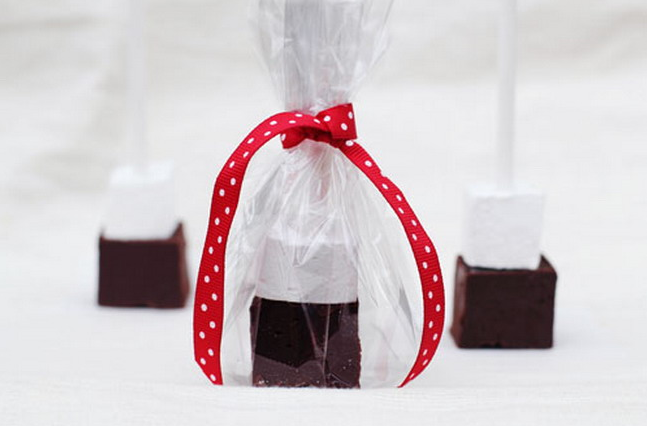 Insert a lollipop stick into a large marshmallow and then into your chocolate cube! I bought cellophane bags to wrap each of my sticks in! 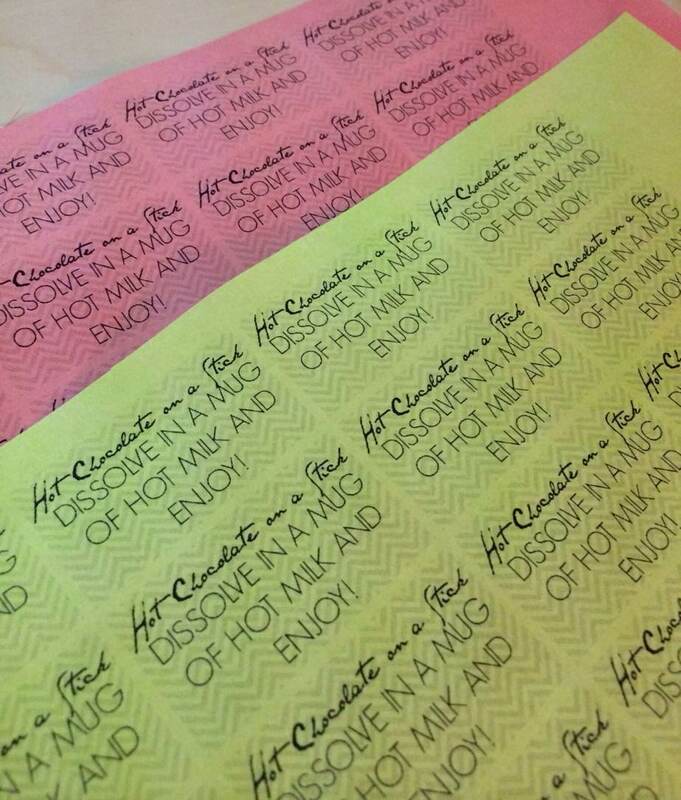 DOWNLOAD YOUR FREE PRINTABLE TAGS HERE!